Oil markets will remain depressed through the fourth quarter of this year as oil storage levels continue to rise around the world. The closely watched EIA figures detailing weekly gains in inventory levels in the United States are just one piece of the puzzle. Crude oil storage is filling up in Europe and Asia as well. The Paris-based International Energy Agency estimated in its November report that global crude oil storage recently topped 3 billion barrels, a record high. The IEA notes that the phenomenon that originated in the U.S. at the beginning of the year has now spread across the OECD. 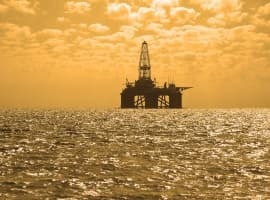 “Since the second quarter, inventories in Asia Oceania have swollen by more than 20 million barrels. 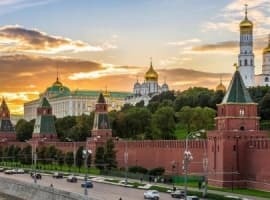 In Europe, record high Russian output and rising deliveries from major Middle East exporters are filling the tanks,” the IEA concludes in its November report. Rising storage levels are a pretty glaring sign that oil markets remain oversupplied. To make matters worse, global oil demand growth is expected to slow from a five-year high this year of 1.8 million barrels per day (mb/d) to just 1.2 mb/d in 2016. The jolt to consumer demand from low prices won’t necessarily repeat itself, and the price effect starts to wear off as we head into the New Year. The glimmer of hope comes from India, a rapidly developing country that the IEA has become very bullish on. The IEA says that India’s oil demand hit a ten-year high in the month of September, and is now up 0.8 mb/d from a year ago. There are signs of balancing, however. The U.S. has already lost around 0.5 mb/d since peaking in April at 9.6 mb/d. In its latest report, the IEA revises its estimate for U.S. shale production, expecting a steeper decline than previous forecasts. The agency now expects the U.S. to lose 0.6 mb/d in 2016, a higher contraction than the previously expected loss of 0.4 mb/d. The North American rig count dropped to 564 by mid-November, and lost 36 rigs in the month of October alone. Furthermore, the number of completed wells declined to 800 in October, the lowest level in nearly five years. For now, those losses are being offset by gains elsewhere. Russia has achieved record high output, managing to ratchet up production despite their financial squeeze. Iraq has also increased production by more than 0.6 mb/d so far this year. Saudi Arabia has added some output since its November 2014 meeting, and on the whole, OPEC has added around 1 mb/d since last year. Together, these countries have more than made up for the production losses in the United States. Thus the supply overhang continues. But while an oil price rebound is not in sight at this moment, it is not hard to see how one will come about. As previously mentioned, U.S. production declines continue to accelerate – rigs and well completions continue to fall and the losses from legacy production will escalate. 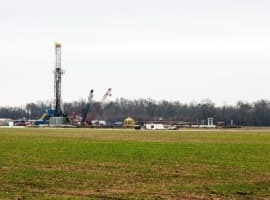 A few Gulf of Mexico fields came online in recent months, which masked the steep declines from shale basins around the country. The U.S. is seeing monthly losses on the order of 100,000 barrels per day at this point. Saudi Arabia still has quite a bit of latent spare capacity (2 mb/d), but by historical standards, that buffer is rather low. The Saudi government probably does not want to produce flat out, preferring to keep some capacity held back. That means further production increases probably won’t be significant. The IEA also noted that some of the major oil fields in Russia are exhibiting steep production declines as they age. The Samotlor field, one of the country’s largest, is losing about 4 percent of its output each year, for example. Lukoil’s oil fields in Western Siberia have seen declines accelerate from 2 percent last year to 8 percent this year. Russia is probably at its limits, and while it won’t suffer from output declines as fast as U.S. shale, further gains are probably not in the cards. The outlier could be Iran. 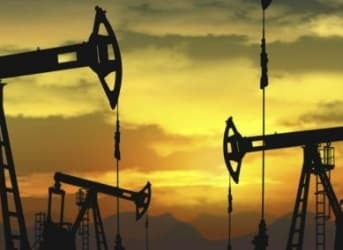 Iran maintains that it can add around 0.5 mb/d to global markets when sanctions come off; the IEA sees output ramping up from 2.88 mb/d currently to perhaps 3.6 mb/d within six months of Iran’s return to global markets. In short, low oil prices have forced cutbacks in some parts of the world (U.S. in particular), but those cutbacks have thus far been offset by gains elsewhere (OPEC). Still, further gains probably are not likely, so a rebound, while not imminent, will come eventually.